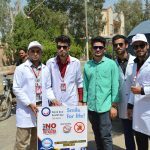 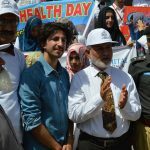 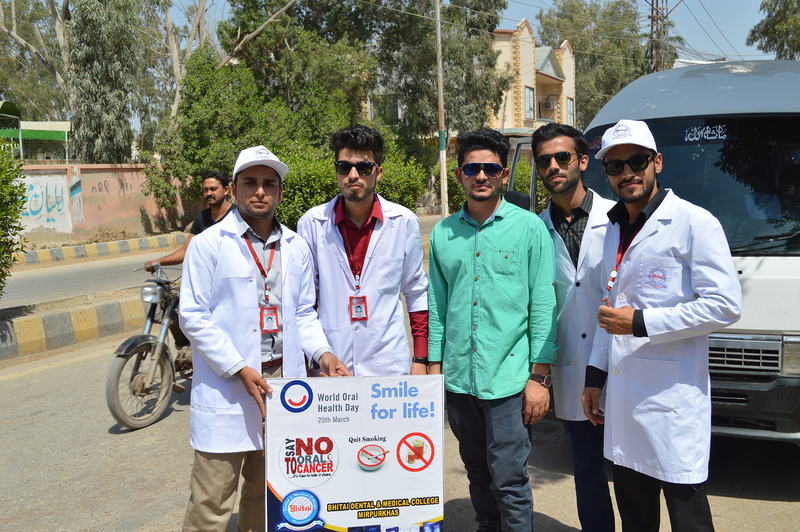 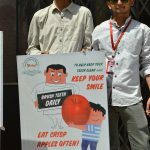 Students and teachers of Bhitai Dental and Medical College Mirpurkhas carried out a walk in Mirpurkhas on World Oral Health Day. 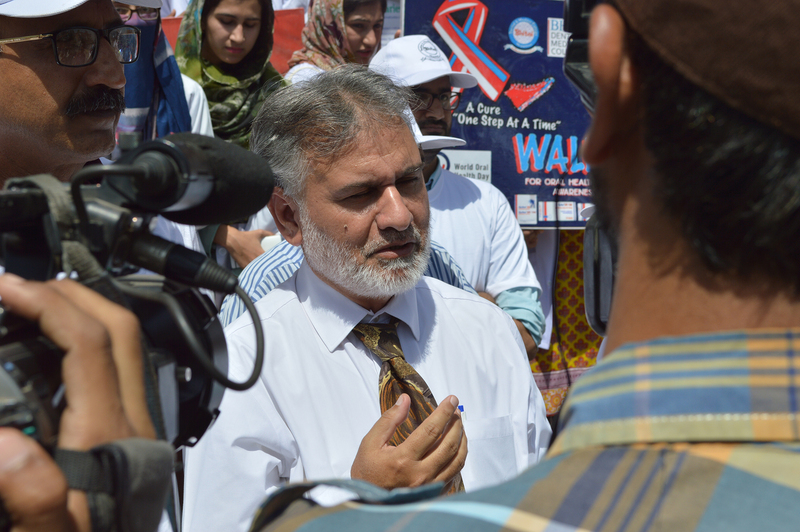 The walk started from Shimla Bakery Chowk and ended at press club. 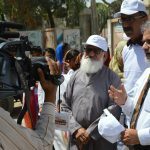 Dr. Ghulam Mustafa Chairman Bhitai Trust & Managing Trustee BDMC, Prof. Muhammad Laique Thebo Executive Director, Dr. Permanand Vice Principal, Dr. Capt. 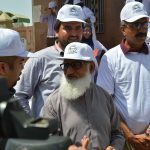 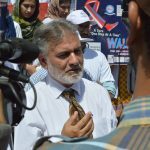 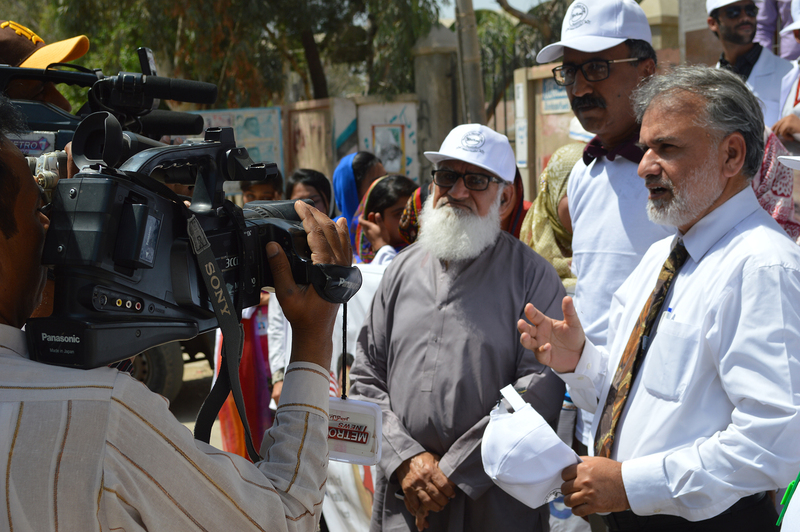 Muhammad Iqbal Memon Director Department of BDMC, other staff and students participated in the walk. 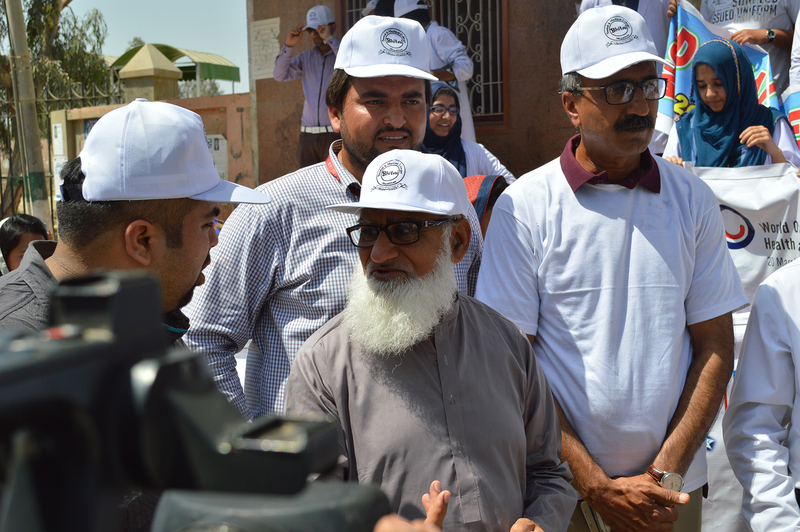 Mr. Manthar DSP represented the DIG police Mirpurkhas range in the walk as guest. 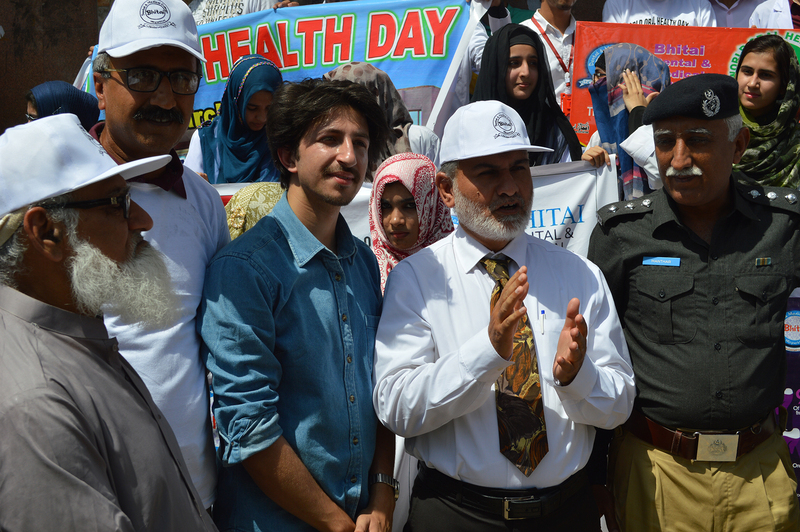 Dr. Ghulam Mustafa, Dr. Capt. 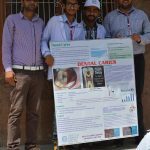 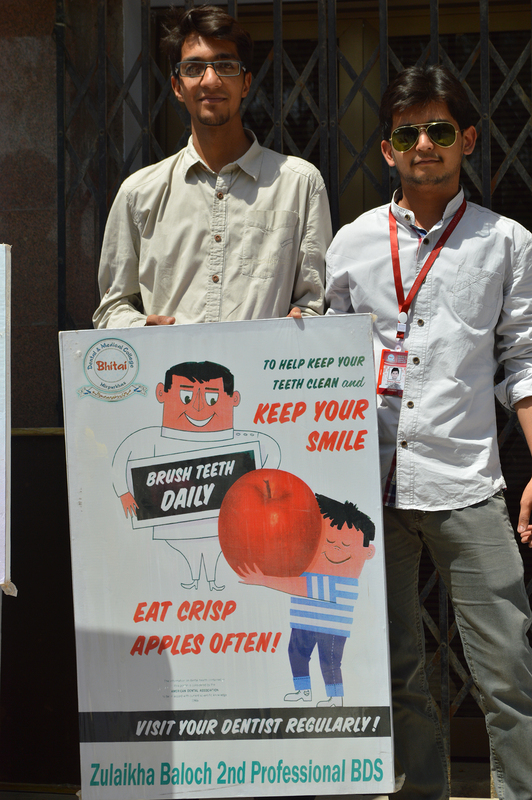 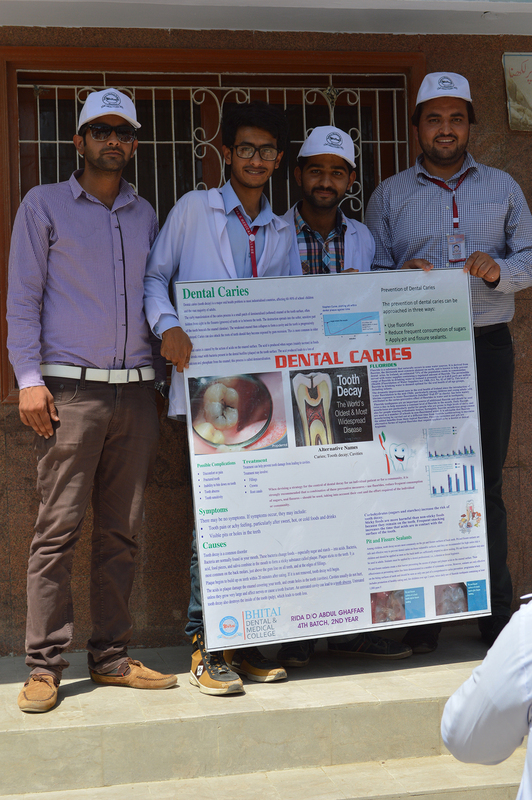 Muhammad Iqbal Memon and Dr. Umer Mirani a student spoke on the occasion and explained the importance of the oral health and services that Bhitai Dental & Medical College Mirpurkhas is offering in this regard.